Some of these unfortunate individuals can never seem to do enough to find favour with Stephen Constantine. India head coach Stephen Constantine announced the list of probables for the final AFC Asian Cup qualifier to be played away against Kyrgyzstan on Tuesday, 27th March. As always, the list of exclusions was as surprising as that of the inclusions. Ever since he took over the reigns of the Blue Tigers for a second spell back in January 2015, squad depth has been one of the buzz words of the Englishman's tenure. He has repeatedly emphasized on his conscious effort to increase the pool of players available for national selections. However, his selection policy seems to fly in the pace of this widely acknowledged ethos. Current form, reputation or suitability to the coach's style of play, we don't know what the criteria for national selection is. But, it is clear that there are some players who can never do enough to win favour with the 55-year-old. 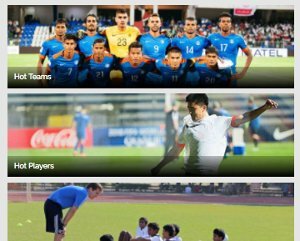 Therefore, Khel Now profiles 11 players who we think have done more than enough over a prolonged period of time to deserve at least a place in the national squad if not the starting XI. It is hard to believe that these players are not among the best 32 in the country at this point in time. Coaches have their favourites and Lalramchullova looks to be the one for Khalid Jamil. The youngster was one of the vital cogs in Aizawl FC’s usurping success last season and was brought one by the costliest Indian coach to the RedsandGolds. Chullova has continued where he left last season, becoming one of the first names on the team sheet and showcasing his ability both on and off the ball. For someone who’s just 22, Chullova displays immaculate maturity, something other young Indian left backs must understand. Comfortable in hitting the ball far or play it short, Chullova is dynamic as well as fluid, something rare in Indian football. At 20, Vinit Rai is not going to stop on the pitch, be it the second minute or the 92nd. Playing in tow with the brilliant Paulinho Dias, the Delhi Dynamos midfielder has been nothing short of brilliant in an abysmal Dynamos season. 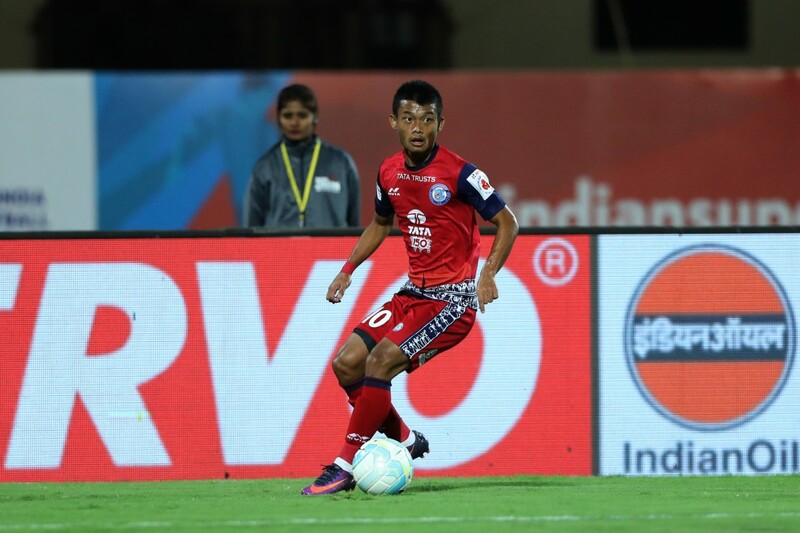 Rai has been one of the standout performers for the Lions, and his average rating of 7 (approx) proves that at 20, this youngster is at the ripe age when he needs to groom with the likes of Eugeneson Lyngdoh. "Playing under Stephen Constantine is difficult because he demands a lot from you", Rai had said in an interview with Khel Now and has surely shown that he’s willing to give in to the demands of the Englishman. Fernandes arguably the best tournament of his life. In a formation that has seen Fernandes plying his trade in a central attacking role, a passing percentage of 86% in 18 group stage games is close to perfection according to Indian standards. He also registered the most assists (4) by an Indian in the ISL this term, speaks volumes of right-wingback India has wanted for a long time now. 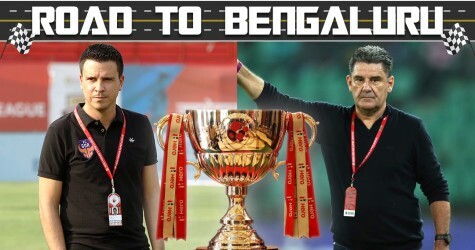 Brandon Fernandes is a Goan and has fit into Sergio Lobera’s system seamlessly, and there’s always going to be a question on the differences of Constantine’s system. Irrespective of the debate, there’s no question that Fernandes has the talent and quality to become India’s premier no.10 . Nikhil Kadam hasn’t really set the league on fire, with very few assists to his name. Mohun Bagan fans, though, will agree that the left winger has never been short of creativity and has created chances at will for the Mariners. Kadam, a former Mumbai FC player, has looked to be the player he was once expected to become and with a little boost in confidence, India could have their next Clifford Miranda. Kadam, if called up, will give Holicharan Narzary a fight for his spot. Narzary is usually known to be a robust, hardworking and low on creativity customer and Kadam, if he works a little more defensively, will show Stephen Constantine things that can be done from the left wing. 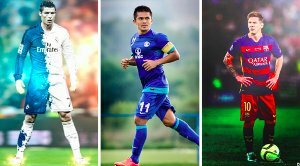 With Jeje Lalpekhlua/Balwant Singh and Sunil Chhetri all possessing mean close control and heading abilities, Kadam can be a treat to watch in spaced-out defences. Last season, Khel Now had not counted Bheke in a list of deserving candidates for the national team and this season, he’s the showstopper. That’s how you play football and prove your detractors wrong. Bheke has been instrumental in Bengaluru FC’s rise to the top of the ISL table and has been one of the best players in the tournament so far. A passing percentage of 84% with 3.6 clearances every game shows the ball playing abilities of the right-back turned centreback. Bheke has been one of the major reasons why Bengaluru FC have only conceded close to a goal per match in the ISL group stage in their debut season, and if the man continues on his mission, it will be hard for Stephen Constantine to leave him out. One of the two players FC Goa decided in favour to retain for ISL 2017-18 season, Dessai has been a revelation for the Gaurs this term. 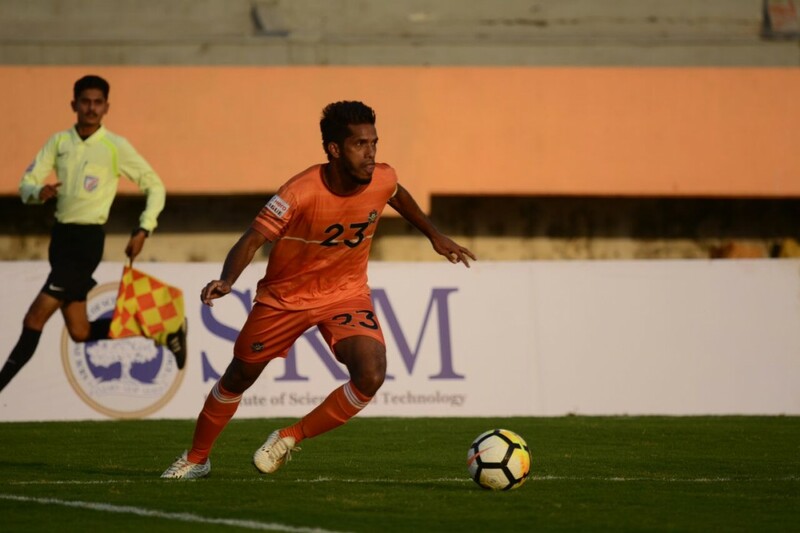 Arguably the most important member for FC Goa's Indian contingent, Mandar has displayed a string of impressive performances scoring two goals in the process. In the 1600 minutes of game time this season, Mandar has registered a 67.54% passing accuracy which is a testament for his vision and ability. The 25-year-old wide player's new role also boosted his defensive qualities, helping the back four to get an extra shielding in the process. Anas Edathodika, a few years ago, made his National team debut in his late 20s and has never looked back. Stephen Constantine needs to do the same with the influential and versatile Adil Khan. One to put his life on the line for his team, Khan has scored, created, defended and passed his way to a first ISL semifinal with FC Pune City. Four goals, 1.9 tackles and 1.6 interceptions per game is something the former Churchill Brothers has displayed. Khan has also scored four goals, helping his side to reach the ISL playoffs this term. “It’s all up to the coach (Stephen Constantine). I have played well in recent times and will continue to do so in the future. I got the national call-up a long time back, but I was very inexperienced during those days,” Khan had said, someone smart enough to accept his inexperience. The question is, will Constantine give him a second chance in Sandesh Jhingan’s period of poor form? 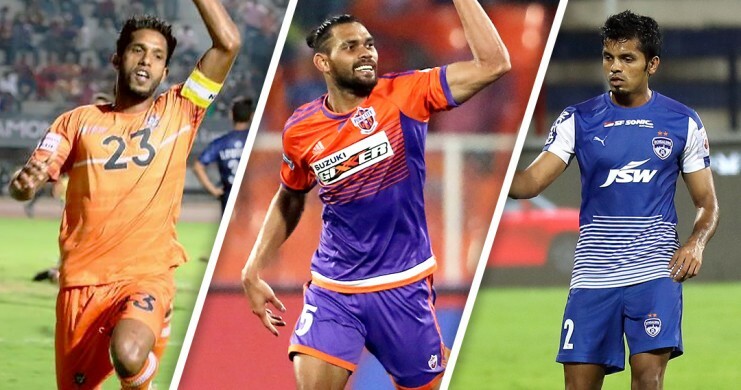 Gagandeep Bali I-League increased the number of foreign players this season, with five players allowed to be on the pitch at any point of time. The biggest advertisers of young Indian talent last season, Minerva Punjab FC, rode on the same wave and signed William Opuko, Bazie Armand (former East Bengal), Kassim Aidara, Chencho Gyeltshen and Toshiya Hosoe. The team’s average age increased from 22.3 to 24.1, but a 27-year-old Indian forward has managed to play his part in the successful season. Gagandeep Bali, a former Salgaocar player, has scored for the league winners at crunch situations, bailing them out of lost games and last minute breathers. Clubbed with the fact that the man is a physical specimen, Gagandeep fits the bill for Stephen Constantine to take a look at the man who’s at the peak of his powers. A regular at the Indian age groups, Jerry has finally found his voice in Steve Coppell’s ageing Jamshedpur FC. At DSK Shivajians in the I-League, Jerry had made 15 appearances and had scored twice. Four assists this season and a dribbling success rate of 37% shows Jerry has it in him to perform at the top level and to make it to senior level, albeit the team plays with the ball at their feet. Jerry is not a physically daunting specimen, but with the ball at his feet, he can play different tunes. The youngster can play a deep-lying playmaker, a box to box midfielder and the No. 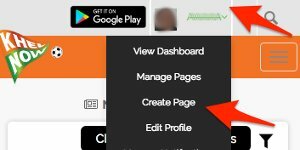 10 role. Jerry is probably not completely ready for the challenge but is surely set to take the dip and make the experience count. At 19, you are expected to make the most of the few chances thrown your way, rattle the opposition after coming on in the late stages of a few games or at least, fill in for senior players. Well, life hasn’t treated Lalmuanpuia or Samuela, the way he likes it, similarly. Thrust to captain ‘his’ side at a ripening age, Samuela took the chance head on and proved to the Indian footballing world that the ISL may take away players, but can never take away the grit in the Reds’ wing. Lalmuanpuia has walked Shillong Lajong out to a respectable sixth position on the league table in a season where he has created, scored, defended and led like a leader. One look on the pitch and his leadership and no right guesses can be made on his age. For instance, in the game against East Bengal, Samuela scored a thundering penalty, assisted with a pinpoint set piece and created two one-on-one chances for his fellow strikers. Bigger the stage, better the performance from this lad. Constantine, are you looking? Michael Soosairaj is one of the two good things Chennai City FC had at the end of last season – him and Nandha Kumar. 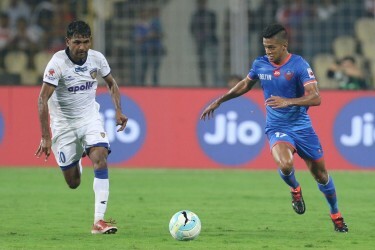 While Nandha rode the ISL wave and went to the capital city to join the Delhi Dynamos, Soosairaj stayed home to consolidate what they started last season. In the debut season, both Soosairaj and Nandha had benefited from manager V Soundararajan’s belief in them and had proved all detractors wrong. Turn to 2017-18, and Soosairaj has easily been one of the most influential figures in the league. Scoring twice and assisting three times from the midfield, Soosairaj has been the source of inspiration the South Indian club has wanted. With the second midfield spot in the national team up for grabs, Soosairaj, Chennai City FC’s captain, will be the one causing troubles to Constantine’s plans with consistent performances week in, week out. Nandhakumar Sekar (Delhi Dynamos), Mapuia (Aizawl FC), Seriton Fernandes (FC Goa), Laldanmawia Ralte (East Bengal) Lallianzuala Chhangte (Delhi Dynamos), Redeem Tlang (Shillong Lajong FC), Bipin Singh (ATK), Milan Singh (Kerala Blasters).